1. Spread the bread slices with goose fat. 2. 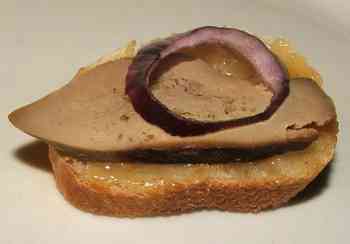 Cut the goose liver in thin slices and arrange them on the top of the bread slices. 3. Garnish the canapes with blue onion rings. 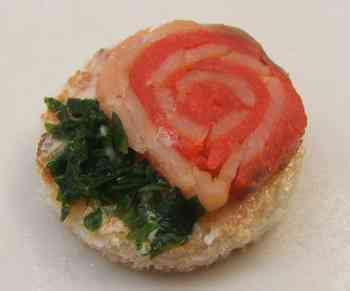 Serve with other little sandwiches, canapés.